Jurassic Park brought us the dream of bringing our favorite dinosaurs back from the dead through genetic engineering. Sadly, that dream hasn't been realized, but the next best thing has been. 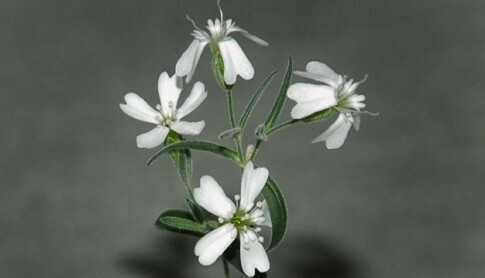 Scientists have been able to use ancient seeds to bring prehistoric plants back to life. It seems that getting the actual genetic material for the plants wasn't as hard as it was in the movie. No drilling mosquito stomachs in amber required. Turns out that scientists have found the burrows of prehistoric squirrels in northeastern Siberia. The burrows contained hundreds of thousands of seeds that had been preserved by the dry, cold environment. The seeds are estimated to be around 30,000 years old. If that doesn't seem that old, consider that the Ice Age of mammoths, woolly rhinoceros and long-horned bison vanished only 13,000 years ago. At that point, the problem became what to do with the seeds. Planting the seeds didn't do the trick - the plants died shortly after germinating. But scientists took a new angle that led to success. David Gilichinsky of the Russian Academy of Sciences’ Institute of Physicochemical and Biological Problems in Soil Science in Pushchino decided to try a different approach (sadly, Gilichinsky passed away last week). He and his colleagues took samples of placental tissue from S. stenophylla fruits. The plant placenta — an example of which is the white matter inside a bell pepper — gives rise to and holds the seeds. The tissue produced shoots when it was cultivated in vitro, and the scientists used these to propagate more plants. They are the oldest living multicellular organisms on Earth, the team says. No word on whether the general public will ever get some of these seeds, but I think that would be so awesome. Imagine growing your own prehistoric garden. Then again, I wonder if there would be any danger of these plants running amok in our modern ecosystem. Darn you, scientists, and your tampering with the forces of nature! What do you think of the prehistoric plants? Would you want to grow a prehistoric flower? What potential would this technique have? Let us know in the comments. i can see those spreading and wrecking havoc. What is the purpose of prehistoric plants? Unless one intends to bring the dinosaurs back as well. I'm sorry, if you use the phrase "jurassic bark," I will only think about one thing. And it's not ancient foliage.